Bloomsbury USA Childrens, 9781599901862, 320pp. 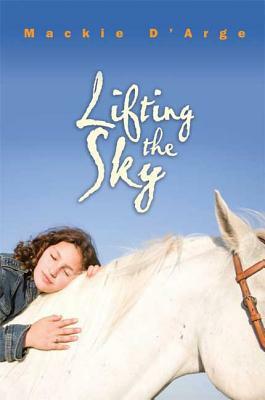 In the spirit of "The Yearling "comes the unforgettable story of a ranch hand's daughter. Blue's wandering mother has always told her, "Just bloom where you're planted." And it's been a pretty good motto, considering how Mam never stays put inone place for very long. Then Mam gets hired as a hand at a tumble-down ranch, and for the first time, Blue sees a place she longs to call home for good. There she makes a friend in an enigmatic Shoshone boy whose search for an ancient petroglyph intrigues her. And it's there that the faint lights Blue has always been able to see around people begin to shine with new energy. But Mam begins to show signs of getting restless once again, and when the father who abandoned Blue years ago suddenly shows up at the ranch, the family she always thought she wanted may not be the one her heart is craving after all. MACKIE D'ARGE is an artist who lives on a working ranch on the Wind River Reservation in western Wyoming. This is her first book.